Ontario’s Lake Country is home to many top beaches and three provincial parks. Driving distance of just over an hour north of Toronto, located along the shores of Lake Simcoe and Lake Couchiching you will find a beach to suit what you are looking for from the quiet more secluded to the popular locations. Come and play out our beautiful beaches& parks in Simcoe County. Centennial Park is a seven-acre park on the shores of Lake Couchiching and is one of the jewels in the Orillia parks crown and incorporates the Port of Orillia, a busy port of call on the Trent-Severn Waterway. Amenities include: picnic tables and shelter, trails, boat launch and washrooms. Beautiful local park your kids are sure to enjoy. Park amenities include: playground, basketball court, outdoor rink, picnic shelter, splash pad, trails and washrooms. A great place to take the kids to burn some energy. Park amenities include a playground and skateboard park. Couchiching Beach Park includes the town dock and sandy beach areas that attract many to Lake Couchiching each summer. This 14.5-acre park is home to many special events. Other amenities include: Aqua Theatre – Swimming beach – Concession – Flower gardens – Band shelter – Outdoor skating rink in winter – Picnic tables, pavilions – Trail – Washrooms and fountains – Miniature steam railway. Kayak and Standup Paddle Board rentals are available along the beach provided by A Breath of Fresh Air. J.B. Tudhope Memorial Park on Lake Couchiching is an active park for baseball and slo-pitch, and attracts water lovers to its popular Moose Beach swimming area. Home to the Mariposa Folk Festival, this 65-acre park is a haven for residents and visitors alike, with many amenities: Accessible playground – Swimming beach – Beach volleyball courts – 2 lit baseball diamonds – Flower gardens – Picnic tables – Splash pad – Trail – Washrooms and fountains. 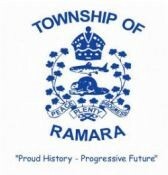 Lovely Day Park is located in the Township of Ramara. It includes a picnic area, stunning views of Lake Simcoe and access to swimming. 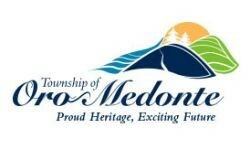 Park with beach, accessible playground and picnic pavilions operated by Oro-Medonte Township. Picnic pavilion areas are available for rent for family reunions, parties and children’s picnics. Access to Lake Simcoe is available to snowmobiles during the winter months, when the lake is frozen and open for ice fishing. Located at J.B. Tudhope Memorial Park, this beach is a haven for families who love to swim, and boasts an accessible playground, large splash pad, and new change room/washroom facility. . Located as you come off the highway on the North East corner of Lone Pine Rd. and Port Severn Rd. You will see the parking lot as you come off the highway. It’s about a 1 min drive from the cottage and you can also get there in a minute via the canoe or boat. Facilities: They have a free splash pad style mini waterworks area for the kids, play ground, picnic area, snack shop, washrooms, public dock-age, hydro hook-ups and a sandy beach. Lifeguards: There are no lifeguards on duty; swimmers must swim at their own risk. Another gem within the Township of Severn is located on the shores of Lake Couchiching and the gateway to the Trent-Severn Waterway. 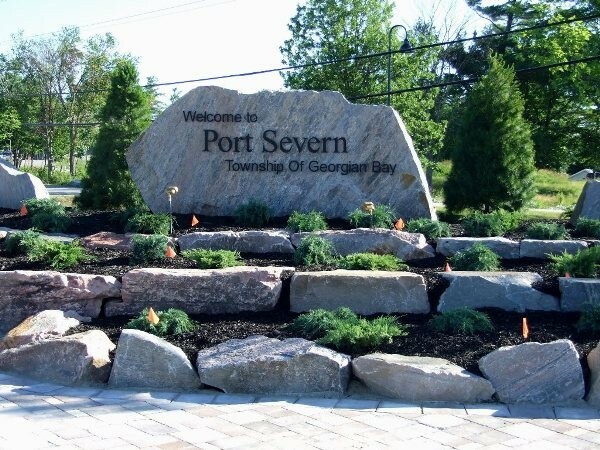 The Township of Severn welcomes you to 21 acres of public parkland in Washago to enjoy a peaceful picnic, leisurely swim, or just relax and watch the world go by! Playground, outdoor fitness equipment, pavilion, ball diamond and dog park are just some of the amenities located in the park. Boat launching is also available at the Municipal Dock located at the end of Quetton Street! Bring along your canoe, kayak or SUP and tour the North end of Lake Couchiching and plan a visit to the village of Washago. Unveiled in 2010, the West Orillia Sports Complex is already well-known for Rotary Place, its popular twin-pad arena – ice skating, lacrosse… but it’s much more than that. The West Orillia Sports Complex includes 27 acres of sports fields, trails, and green space for walking and activities. Amenities include: Accessible playground – Lit artificial turf sports field – Lit and unlit sports fields – Lit tennis courts – Trail – Public Washrooms. Inside amenities include a rock climbing wall, mini stick area, meeting and room rentals as well as a full concession stand.